Gaming technology has advanced at an astonishing rate; just 10 years ago, people across the globe were marvelling at the size of Grand Theft Auto: San Andreas. So what does the next 10 years have in store? Here are a few of the technologies we reckon will change gaming forever. Virtual reality is undoubtedly the next big thing in gaming. The ability to experience games as if you were in them has been a dream long held by gamers, and it’s just around the corner. 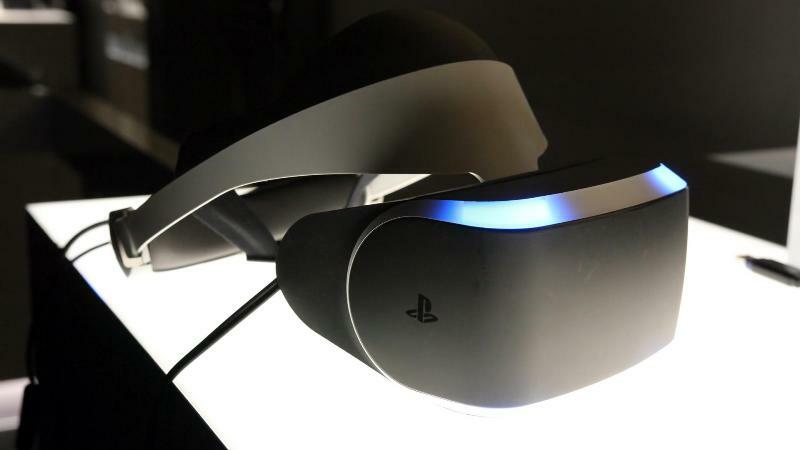 Sony’s Project Morpheus is just one of many VR headsets in production at the moment, although it could be the first to bring virtual reality gaming to our living rooms (as long as you have a PlayStation 4). Project Morpheus doesn’t have a release date yet, but Sony are clearly excited about unleashing it on the world; one of their executives has called it as game-changing as sound was to silent movies. Bring it on. Microsoft’s Illumiroom is virtual reality taken to the next level. Rather than using a headset, Illumiroom uses your Kinect camera and a projector to physically alter your experience of a game in a number of ways: it can project the game world onto your walls, change your field of view and even create the illusion of motion (which would be especially terrifying if you’re playing a racing game). Illumiroom is just a concept at the moment and it may never actually be released to the public, especially after Microsoft removed Kinect from new Xbox One consoles, but we’ll be keeping our fingers crossed anyway. Square Enix’s Project Flare uses supercomputers to create gaming experiences unlike any other. The processing power of a supercomputer allows Flare to create massive game worlds in an instant. A recent demo showcased a forest 17 times the size of Skyrim, with no loading required. The technology could also be used to create immersive living worlds online, a bit like a gaming version of The Matrix. Whereas most online games confine players to separate servers, Flare would allow everyone to be on the same server at once (in theory), allowing you to share your world with every other player online at that time. No Man’s Sky is an indie game that could change gaming as we know it. The concept of the game is simple: you’re an astronaut exploring the galaxy in a customisable spaceship. However, the galaxy you explore is generated randomly based on algorithms set by the developer. In simple terms, that means no two games of No Man’s Sky will be the same. Naturally, the game has been massively hyped up. Hopefully it’ll live up to expectations when it comes out next year. Start saving up for your VR headset by selling some games with musicMagpie!